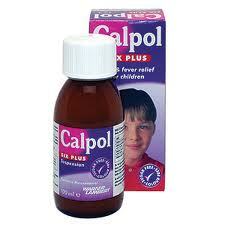 Children who are given Calpol are far more likely to develop asthma, a major study has found. Those given the medicine once a month are five times more at risk while even having it just once a year increases the chances by 70 per cent, according to the Daily Mail. Over the past 50 years the number of children developing asthma in Britain has more than doubled but experts are divided over the causes. Around 1.1 million youngsters now have the condition – in addition to 4.3 million adults – and it leads to 1,400 deaths every year. Researchers who studied 20,743 children say there is now growing evidence that the increasing rates may be linked to paracetamol – the main ingredient in Calpol. The drug is the most popular painkiller in Britain and 84 per cent of babies are given it for pain and fever within the first six months of their life. Although the NHS advises on what doses parents should give children depending on their age, there are no warnings concerning possible health risks. In one of the largest studies of its kind, academics from the University of A Coruna in northern Spain questioned the parents of 10,371 children aged six and seven and 10,372 aged 13 and 14. All were asked whether the children had asthma – and if so, how severe – and how often they had been given paracetamol within the previous year and when they were babies.